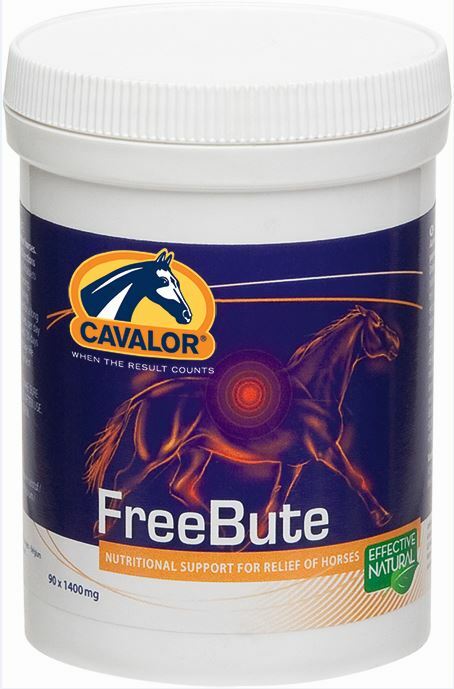 Cavalor FreeBute tablets supports your horse's muscles & joints. It contains a specially chosen blend of herbs, which can help to reduce inflammation, as well as Green Lipped Mussel, which provides Chrondroitin & Omega 3 fatty acids. Cavalor FreeBute tablets can be given long term, or 2 days before & during competition, to give extra relief for joints. Feeding Instructions Give 2-4 tablets in the morning & 3-5 tablets in the evening. If using FreeBute tablets for longer than two weeks, half the amount given.